What keeps your CFO up at night? Numbers. Numbers that show poor performance, waste, inefficient processes, missed quarterly earnings—the CFO's results list goes on and on. If the CEO is the brain of the business, the CFO is the nervous system—always on guard and aware of threats to the organization's health and ability to sustain performance. At the risk of going too far with the analogy, the heart of the business is the employee and oxygen is the customer. Without the customer, the business can't survive for long. When you put it all together and keep all the pieces healthy, businesses succeed. But when one or more of these critical elements is not functioning optimally, the business declines. The CFO is usually the first to notice because they see it in the numbers. It's All About The Bottom Line. Or Is It? In large corporations, CFOs can sometimes be a bit myopic and over-focused on the bottom line. This is often less the case in smaller companies, where the CFO can be more involved operationally and sensitive to the business as a whole. CFOs use the bottom line to understand how well (or how poorly) the business is driving value. They are whizzes at identifying gaps and providing feedback that can help the business take fast action to correct course and remain competitive. CFOs are most comfortable when there are solid numbers justifying business cases. It's black and white. Straightforward. Hard costs are understandable because they are clearly measurable. They're easier to translate into cost reductions, revenue increases, risk mitigation or capacity gains. Soft costs, such as marketing efforts to create brand awareness or improving processes to increase customer engagement scores are much more challenging to measure, especially without some solid, quantifiable data to work with. 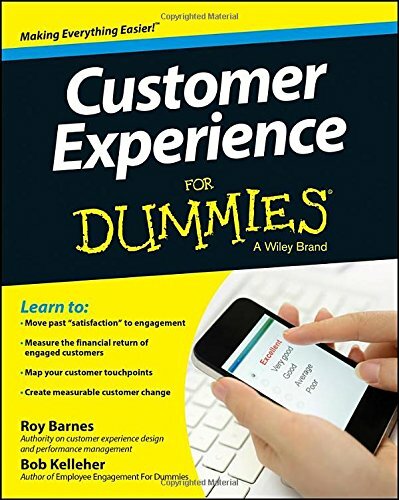 Use customer experience to mold "the perfect customer"
Just as there are multiple facets to discovering the financial impact of your customer's experience, there are a variety of approaches to building a customer experience improvement program that provides measurable results. This is why understanding CFO's point of view and appreciating their perspective should be high on your list before getting too far down the road with your customer experience improvement strategy. When you win over your CFO and learn the nuances of what they need to be successful in their role, they are more apt to be your advocate when you're asking for dollars and resources to improve your customer's experience. When we take the time to appreciate another person's world, we can make more inspired requests of them. We can frame it in such a way that makes it easier for them to say, "Yes." Ask your CFO, "Where does it hurt?" Find out what your CFO is most watching in the financials. Where are they seeing costs skyrocketing? Where are their pressure points and what are they most concerned about? You may or may not be able to access this perspective directly from them, but if you approach whoever on the financial team you can talk to with a desire to learn which metrics will support business cases, it's worth a try. This is a great discussion to have as a cross-business team so everyone can benefit from understanding the company's financial pressure points. Ask your CFO, "What data do you need?" Another way to partner with your CFO is to understand how you can provide data that helps them add a line item for customer experience improvement. Ask your CFO, "What's the big win?" Find out what will be a big win for the CFO and figure out how to tie that into your customer experience improvement strategy. For example, if there are cost overruns in sending customer invoices via snail mail, create an initiative to shift customers to digital invoicing. This is a legit hard cost savings you can measure and will make your CFO smile. Ask your CFO, "Can you help me create or validate the metrics?" When it comes to soft costs, it can be very challenging to create benchmarks to measure. 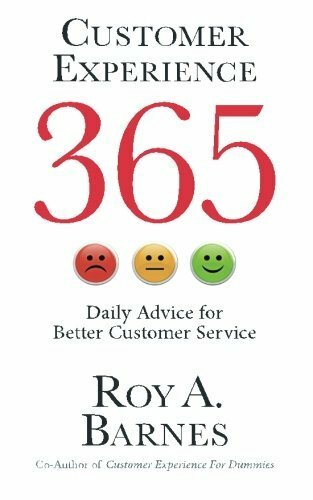 How do you measure customer satisfaction? How do you measure your customer's likelihood to recommend, repurchase, refer or switch to a competitor? Discuss with your CFO the area of customer experience you wish to improve, your strategy to do so, and ask them for help on how to best measure success in terms of increased revenue or reduced costs. Their brains are wired for numbers and they can easily look at a subjective situation and offer ideas on how you can best measure outcomes. Keep them in the loop, treat them as an insider so they can see your efforts to help improve the bottom line through the customer channel. In the end we're all in this together, regardless of role. Our job is to find out how we can best take care of our customers (oxygen), support and empower employees (heart), achieve measurable outcomes for the CFO (nervous system), and make the CEO (brain) proud of the company's ability to grow, be relevant and compete in the marketplace.